Week three of Totally Twilight is complete. Check out my posts from this week and be on the look-out for all my Twilight posts this coming week - including my Breaking Dawn movie review! Midnight Sun: What's the Status? MY Twilight Fan Fiction - Alice! *80 pages into this. It's really good so far! 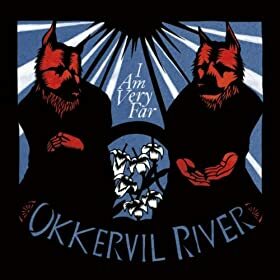 *Heard so many great things about this one. I'm excited to read it. Anna Dressed in Blood looks interesting. Enjoy and happy reading! 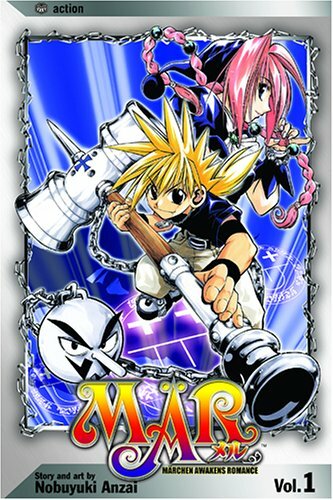 I really like the cover for the Mar manga. Guess what there is also an Mar anime! I'm really excited to read Anna soon! I might have to start it next :) Awesome haul! Anna is a new favorite of mine---such a great one! Glad to hear you're enjoy it so far! Great books this week, Allison! I am looking forward to reading Anna Dressed in Blood. It sounds intriguing. I loved Anna Dressed in Blood! So glad you're enjoying it too. Anna Dressed in Blood is so, so good! I still need to read Ana Dressed in Blood. eventually I will read it. Great haul like usual Alison. Anna Dressed in Blood looks o good...well at least the cover..I'm afraid it may be too much for me!! Glad you are enjoying it!! Anna Dressed in Blood has been on my list for a while now...hope you enjoy it! Happy reading and thanks for stopping by my IMM! I loved Anna Dressed in Blood! I hope you enjoy it! oh man, i have heard SUCH great things about Anna. i hope you dig it! glad to see the Twilight love here too. TEAM MIKE FOREVAHHHHH. Anna Dressed in Blood looks great! I hope you enjoy it and everything else you got! Glad you're enjoying Anna so far - I really liked it too. MAR looks good too. Have a great week! Yay, Anna! :) I've heard some great things about this book and although I haven't had time to read it yet, I'm sure you'll enjoy it. Here's my IMM post for this week. Thanks for your comments on my blog. Great selections of books you have. YAY ANNA!!!! I loved that book, it was just creepy enough to keep me on edge, but not so scary that I was traumatized after reading. Can't wait to read your full review on that one Alison! Anna Dressed in Blood is SO GOOD! I hope that you like it. Enjoy! Gah I can't wait for the movie review! saw it myself last night! I loved Anna!!! It's one of my fave books this year. Oooh ! Anna is Awesome!! Hope you like it! Great stuff this week! I've heard good things about Anna Dressed in Blood, can't wait for your review! I've seen Anna in a couple of mailboxes this week; I'm intrigued so I'll be keeping an eye out for more reviews. Anna Dressed In Blood! I swear I look at it each time I walk into a bookstore. I will get around to it someday. I can't wait to hear what you think of it. Thank you for stopping by my IMM. *Picture me jumping up and clicking my heels* Anna Dressed in Blood looks so good! Can't wait to read your review. Thanks for stopping by my IMM. YAY Anna Dressed in Blood. Great stuff this week. Happy Reading! Great stash of books this weeks! I love the Manga edition you put in! And I am loving your Twilight weeks of awesomeness! hehe - that is what I have been calling them lol! I hope you enjoy everything you got this past week! Anna Dressed in Blood was so good! Do you watch Supernatural? There were definite moments when the book reminded me of that show, although there's no just-as-hot brother. It's a great book, though. I hope you're still enjoying it! LOVED Anna Dressed in Blood!!! Thanks so much for checking out my mailbox! I've heard great things about Anna Dressed in Blood, I need to read it! I'm glad that you're enjoying it so far! Anna Dressed In Blood is awesome. I'm looking forward to the next installment...the cover is too cool for words. I loved Anna Dressed in Blood! I couldn't believe how quickly I read it (and I'm a SLOW reader). I hope you like it as much as I did! I can't wait to see what you think of Anna Dressed in Blood. I hope you enjoy. Thanks for stopping by. Happy reading! Anna looks really great! Happy reading, Alison! I got Anna Dressed in Blood awhile, but haven't read it yet. Anna Dressed in Blood was on my IMM too! Haven't had time to start it yet though, glad to hear you're enjoying it so far! Anna Dressed in Blood was a lot of fun, so I hope you enjoy it! 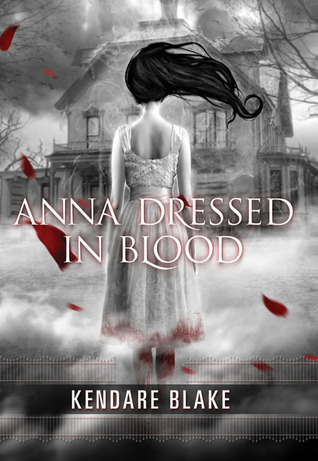 I definitely really liked 'Anna Dressed in Blood' ... it was so addicting, and I just loved the feel of the writing, and the characters were pretty awesome too. I recently bought Anna Dressed In Blood, but I still need to read it. I hope we both love it! Thanks for stopping by my IMM, I have heard lots of good things about Anna Dresses In Blood and can't wait to read it myself. Thanks for stopping by my blog! So want Anna Dressed in Blood. Love the cover! Ahhh! Jealous of Anna Dressed in Blood! Hey Alison! Anna dress in blood is awesome! I can't wait for Anna Dressed in Blood!! I hope that you enjoy your new books!